Winogrand was a street photographer known for his intense portrayal of American life in the early 1960s. He is considered as one of the most important American photographers of the 20th century. Many of Winogrand’s images depict the social issues of his time and moments of everyday American life, with subjects ranging from famous actors and athletes, to hippies, politicians, soldiers, animals and antiwar demonstrators. Another favorite subject were women, who he has compulsively photographed. From these hundreds of photographs, 85 were selected for the portfolio ‘Women are Beautiful’ (1975). This seemingly random collection of images of women caught on the street, in parks, enjoying themselves at parties, marching in parades, etc. capture not only Winogrand’s attraction to his subjects, but also the styles, activities, gestures, and energies pertaining to gender in the 1960s and 1970s, an era of transition that witnessed the sexual revolution and the second wave of feminism. In his unique visual style, Winogrand blended a documentary and photojournalistic approach. He roamed the streets of New York with a pre-focused wide-angle lens mounted on his 35 mm Leica camera, which liberated his movements and allowed him to rapidly take photographs. His photographs often freeze his subjects in spontaneous and bizarre moments. His chaotic compositions appear as if they were driven by the energy of the events he was witnessing. Winogrand believed that the act of framing and photographing something, transformed it by taking the moment out of its original context. Winogrand was strongly influenced by Walker Evans and Robert Frank and their respective publications ‘American Photographs’ and ‘The Americans’. Henri Cartier-Bresson was another influence although stylistically different. 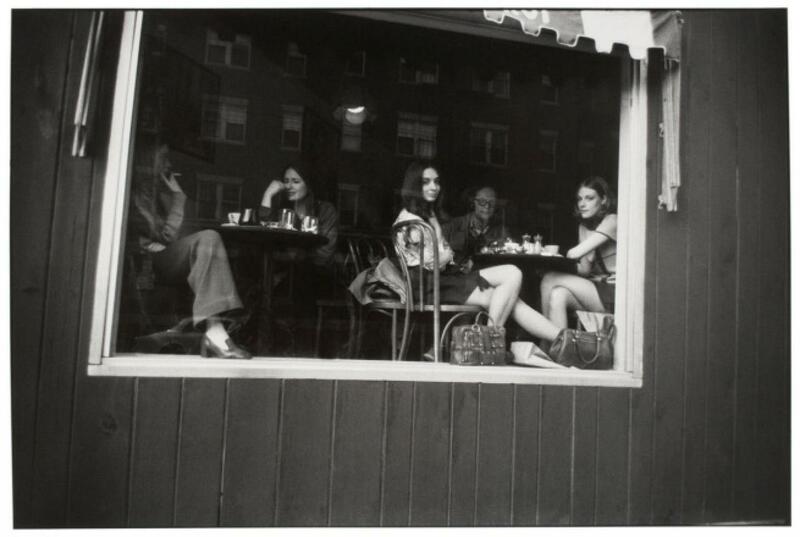 Furthermore, Winogrand is often compared with Diane Arbus and Lee Friedlander. In 1967, he participated alongside them in the famous New Documents show at the MOMA in New York.